Has anyone had any luck finding CAD drawings of the FD? I found this one on yahoo image search but it is low resolution. Reverse image search turned up nothing. Regardless, I thought I'd share. 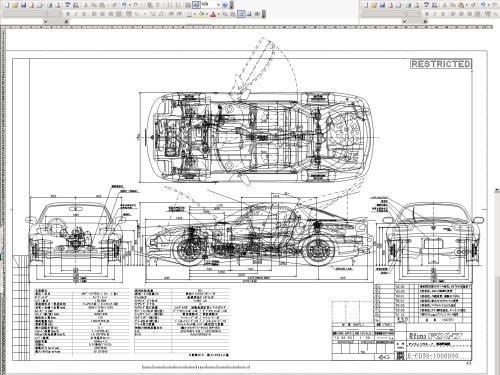 It appears to be an official internal drawing of the Efini RX-7. Yeah that's the origin of the image I found. Pretty incredible. The guy is actually dimensioning all the components....in microsoft excel 97! I'm still not sure where he got the actual Efini drawing though.